After experiencing difficulty on the wet track during the Grand Prix (GP) Japan, Valentino Rossi hopes in Australia he can race on dry tracks. The Doctors, nicknamed Rossi, said the current Yamaha team is in a difficult condition. "We are in difficult conditions right now, especially on wet tracks," said Rossi, as quoted by Crash.net on Thursday (19/10). "On dry tracks, we have some problems, but we can be more competitive. 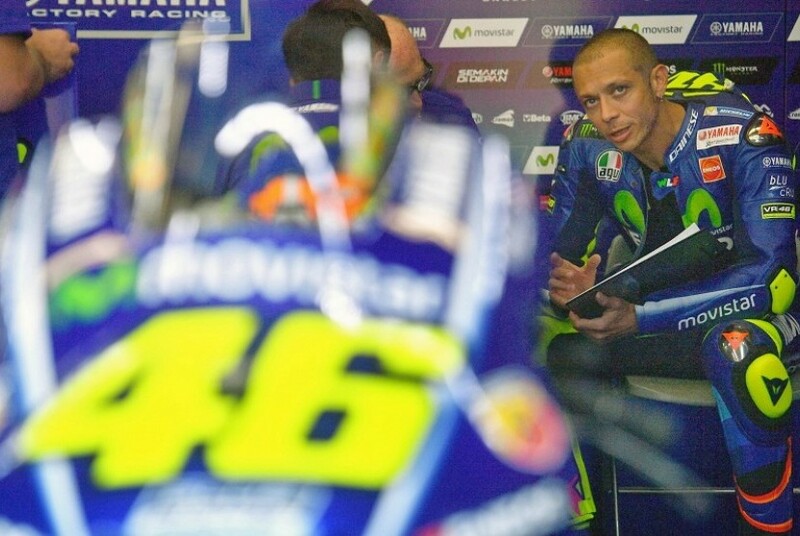 But when Rossi arrived in Philip Island afternoon was hot and afternoon rain. The Italian said that in Australia he must understand the weather conditions. "It's a different track, the type of grip is different too, the temperature is different too, especially we have to understand the weather conditions.Here's always very challenging.I hope the track is dry and we'll see," explained Rossi. Rossi continued, last year he got pretty good results in Australia. He believes on Sunday (22/10) later weather conditions will be better again. In February, during a trial, he admitted it was very difficult in Australia. Therefore he must understand the weather conditions well this time. Currently, Rossi is ranked fifth in the standings. He is two points adrift of Dani Pedrosa who is ranked fourth. Rossi said he should soon find out why the 2015 YZR-M1 motor is having problems on the wet track this time. In fact, before using the Bridgestone or Michelin tires the bike is good enough on the wet track. "For us it is difficult to understand (the problem) well, because with our Bridgestone is very strong, last year the motor is fine with Mihcelin.I'm always quite fast in the rain, so we have to understand it," said Rossi.